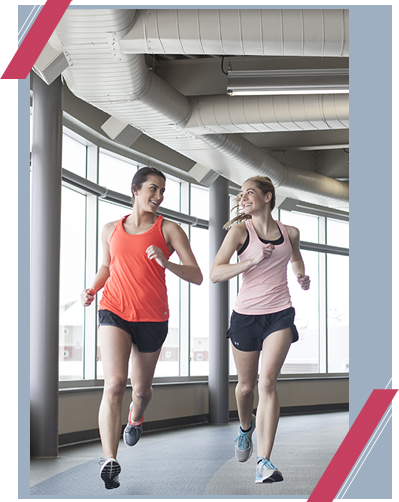 Our indoor track is 9 laps per mile and is elevated above the Fitness Center and Gym. Windows line three sides of the track. Elevator and stairs offer easy access.